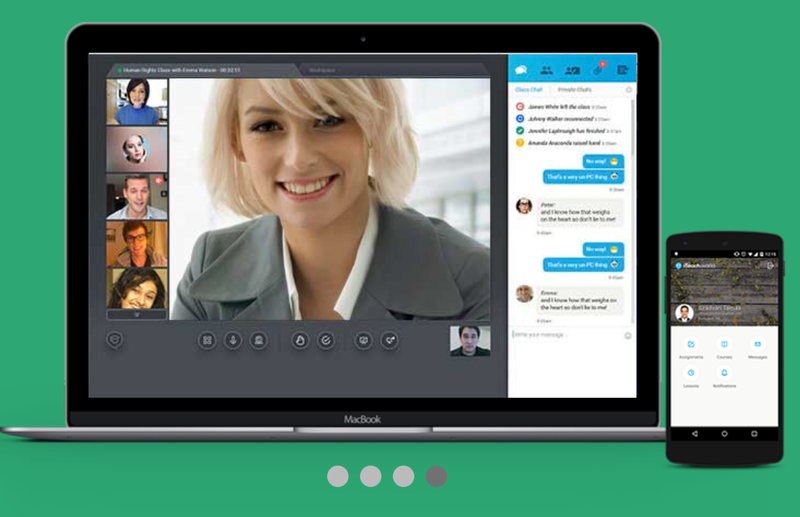 This is an interesting new approach to instant chat rooms that I haven't seen before. 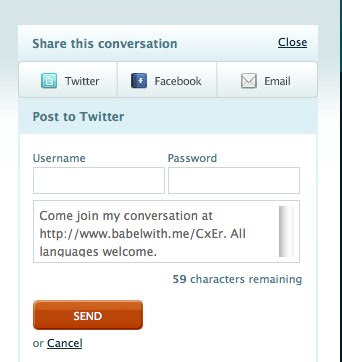 BabelWith.Me actually translates the chat text for you as you chat with people who use other languages. It's really easy to set up, you just go to the BabelWith.Me home page and click on 'Start a Conversation'. This creates a chat room for you and you then just choose your user name. You can then select the language you want to use and send the unique link to the room to the people who you want to chat with. I'm not sure how well the translation works, but there are quite a few languages to choose from, so why not give it a try. You can also send invitations out through the interface using Twitter, Facebook or email, which could be handy. This could be a nice tool to use if you are running a cultural exchange with students from another country. You could get half your class communicating in English and half using their L1 and see how well they understand each other (It could illustrate for them the limitations of translation). It could just be a nice way to get students chatting with other classes or interviewing people from outside your class (with or without the translation feature). I hope you find it useful. Here you can find chat activities for students. Thanks for setting up the chat room. Was testing it out this morning. I think this is a great idea, not only for language students but anyone trying to communicate in the global community! Still has a way to go but I guess it is only in alpha. Great concept. I really like it. Yes. Great potential, but not really transparent about how it works yet. Is everything translated into the language you set? It's interesting following the experiments people have been making in the chat room. Still only alpha, but interesting and worth keeping an eye on. Babelwith.me is so quick and easy to set up. Just what I was looking for. Will try it out with students tomorrow, hopefully. Sorry, postscript to my previous message: should add that I'm not bothered about the translation aspect, just the ability to set up a quick chatroom for English practice.